There are still several months remaining before the 2019 legislative session begins, but that hasn’t stopped efforts to tackle the ongoing problem of distracted Florida drivers being glued to their mobile devices while driving. 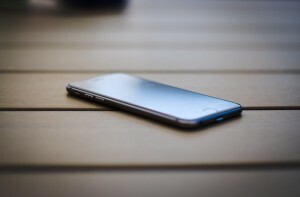 Late last month, a new “Hands-Free Florida Law” also known as HB 45 was proposed, which would prevent drivers from using mobile phones to talk or text, though they would still be able to make use of a handsfree device. Currently, texting while driving remains a secondary offense in Florida, which means a driver would need to have committed another infraction such as speeding before they could be pulled over for texting. With this proposed bill, texting and even talking with the phone in the hand would be “upgraded” to a primary offense, which would allow a law enforcement officer to pull a driver over if they were caught texting or talking on their phone regardless of whether or not they may have committed another infraction like running a stop sign, for instance. This update is brought to you by the Miami traffic ticket attorney team of Hochman & Goldin, P.A. We can assist you with criminal traffic violations and we are ready to answer your questions. Please call 305-665-1000 to speak with one of the Miami criminal traffic lawyerstoday. Are You Stopping for School Buses? 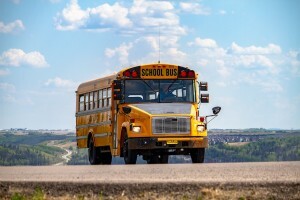 An alarming number of incidents involving school buses and children being struck by drivers around the country is spurring police in parts of Florida to take preventative measures to improve safety. In one instance over in Naples, an operation resulted in close to ten different drivers being ticketed due to their failure to stop when a school had its flashing red lights or crossing arm extended. 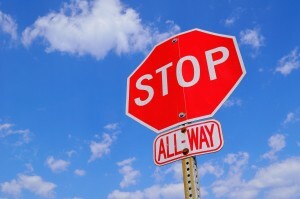 It’s worth reminding drivers that according to Florida Department of Highway Safety and Motor Vehicles, all drivers must come to a complete stop when a school bus is displaying its stop signal, regardless of which direction a driver may be moving in on a two-way street or a highway with a paved median divider. Drivers must remain stopped until children have cleared the road and the bus has fully withdrawn its stop arm. Should a driver approach an oncoming bus and there is a raised barrier or a minimum of five feet of unpaved space between traffic lanes, then they are not required to stop. However, drivers should still slow down and keep an eye out for any children that may be hopping onto or off the bus. 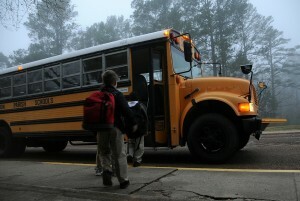 To read more about the operation in Naples, please visit https://www.naplesnews.com/story/news/local/2018/11/12/ccso-conducts-school-bus-safety-operation-after-string-nationwide-incidents/1975493002/. What constitutes a potential criminal offense? Most of us are aware of common offenses committed on the roads, such as speeding for instance. 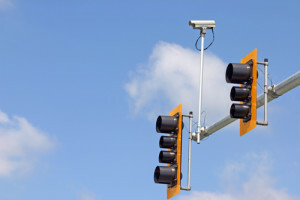 Though the following may seem obvious, there may be drivers out there unaware that these traffic violations may also result in a criminal offense. 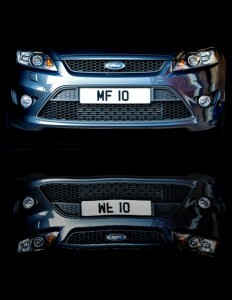 Let’s take tags and vehicle registration. Here in Florida, drivers are required to renew their registration each year. Drivers that do not renew by their expiration run the risk of receiving a fine. If six months have gone by and the tag remains expired, this fine can potentially become a criminal traffic ticket which may result in jail time. Did you recently purchase a new vehicle? Congratulations! As easy as it may seem to do so, drivers should not simply transfer their tag or the registration sticker over to the new vehicle as this is considered a crime. The tag or registration sticker must be issued, assigned, or transferred lawfully to the vehicle to avoid any issues. We all know that driving with a suspended license is illegal but sometimes a driver may have their license suspended for reasons they may not be aware of. For example, if the driver has an outstanding ticket they haven’t paid, if they failed to attend a court date, or if they have not maintained insurance, all of these reasons may result in a suspension of the license. Regardless of the reason, driving with a suspended license for any reason is considered a crime. If you’ve somehow managed to avoid all of the traffic, you’ve likely already noticed that numerous schoolchildren have started a new school year. This means that those school zones you may have driven through at speeds beyond fifteen miles per hour during the earlier summer season are now in full effect once again. Failure to adhere to posted school speed limits can carry increasingly hefty fines depending on how fast a driver is going. For example, in Miami-Dade County, going anywhere between one to five miles over the speed limit may result in a fine of about $169. Vehicles caught driving thirty miles above or more the speed limit face even heftier fines of up to $1,000. With school being back in session, it also means there are more school buses on the road. Drivers should remember that they must stop when a school bus has its stop sign out, including those traveling in the opposite direction. Drivers that are caught passing a school bus that’s stopped face not only a fine of about $284, they will also be required to attend traffic school. Stay safe on the roads during the morning and afternoon hours when children are coming to school and heading home. Here’s a common scenario South Florida drivers may run into when out on the roadways. You are stopped at a red light waiting for it to turn green when suddenly you notice a motorcycle creeping up beside you between lanes to cut in front of the line of traffic and avoid the wait. The move can lead to a potentially serious case of road rage, much like when any vehicle suddenly cuts in front of a driver waiting in line at a busy exit. 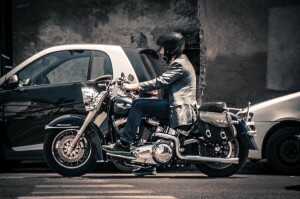 What motorcyclists may be failing to realize is cutting between stopped vehicles is highly frowned upon. Not only that, Florida laws require motorcycles to adhere to the same laws as that of drivers moving around in a vehicle with four wheels. While laws may differ beyond the state of Florida, splitting lanes or cutting into the front of stopped traffic is against the law. Hence, motorcyclists may risk receiving a ticket and possibly major fines for the traffic violation. The State Attorney, Melissa Nelson, recently announced a new program that will help people with an invalid, rescinded, or suspended licenses. Drivers who are caught driving with an invalid license must pay a $322 fee that many residents might not be able to afford. This could mean jail time. But this program, which is called “KEYS2DRIVE,” will help people obtain a valid driver’s license and navigate the court system. To participate in the “KEYS2DRIVE” program, you must be a Florida resident who has been charged a fine for driving with an invalid, rescinded, or suspended license. If you enter the program, a case manager will help you navigate it. If you complete the program successfully, you will obtain a valid driver’s license and charges will be dropped. The program involves classes, court appearances, and some fees. The fees will be less expensive than the fee for driving with an invalid license. “KEYS2DRIVE” can also help people deal with financial problems like debts. The program will also save taxpayers money, because putting people in jail costs $864 for a taxpayer. Less people will show up in jail cells thanks to this program. “KEYS2DRIVE” will also hopefully change the cycle of endless incarceration. Now that summer is just around the corner, the collaborative effort between Florida and Alabama has officially begun. Called “Hands Across the Border”, summer drivers will notice a greater number of patrol officers roaming the roadways to make them safer while reducing the dangers of drunk driving. This year marks the 27th time the states have spearheaded the program. Per the National Safety Council, more than 40,000 motor vehicle deaths have occurred. Just over 900 of those have happened in Alabama while Florida has a comparably larger amount of motor vehicle deaths at just over 3,000. 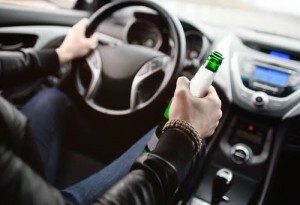 Besides the greater presence of law enforcement officers and patrols on the road, drivers can also expect to see additional sobriety checkpoints, more officers working undercover to spot and enforce distracted driving and DUI laws, as well as officers looking for drivers that may be driving aggressively. Stay safe on the roads this summer. If you do receive a traffic ticket here in Florida, we may be able to help you out. Residents of the Villages Retirement Community near Orlando have been selected to be volunteers by a startup called Voyage, which specializes in autonomous vehicles. They are offering the seniors free transportation to grocery stores, shopping trips, or anything they may need. During the first phase, a technician boards for the passenger’s safety and to monitor the system. The reason why Voyage chose these seniors is because people over a certain age are more likely to have impaired vision and thus unable to drive either at night or in broad daylight. Another reason is that the Villages provide a controlled environment due to the neat layout of its roads, homes, and commercial centers. The vehicle of choice is the Ford Fusion featuring a rooftop LIDAR (Light Detection and Ranging) that is designed to view and understand roads and surroundings the same way humans do. The project could revolutionize how seniors transport themselves as well as spur the automobile industry to make more progress in developing their own self-driving vehicles. As a South Florida driver, do you constantly find yourself dealing with aggressive drivers? It’s not unusual to be cut off by someone, have someone tailgate you because you’re driving too slow, or intentionally accelerating to prevent you from changing or merging into a lane despite having your turning signals on. If Florida seems like it’s a tad too aggressive, your observations aren’t off. A popular app called GasBuddy recently assessed the driving habits of users across the country that choose to use its “Trips” feature which evaluates trips to improve fuel efficiency while also noting when the driver speeds, accelerates rapidly, or brakes hard. While Florida didn’t earn the dubious distinction of being number one, it still managed to crack the top ten, coming in at number eight. 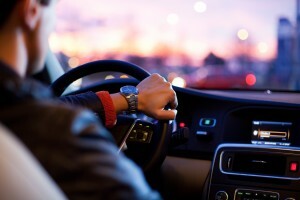 Another report by the app Drivemode (https://www.cheatsheet.com/culture/the-states-where-you-really-run-a-risk-from-distracted-drivers.html/?a=viewall) ranks Florida in third place when it comes to the most distracted drivers which, when combined with its aggressive drivers, only reinforces the importance of keeping your eyes on the road and wearing your seatbelt.